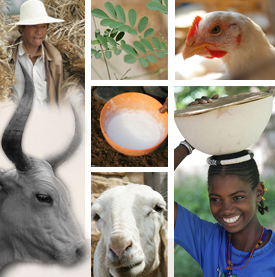 Livestock feed is a critical constraint to livestock productivity in Low and Middle Income Countries. Livestock feed development efforts have, however, tended to promote new feeding strategies in a piecemeal fashion without sufficient consideration of system level constraints such as availability of land, labour and market opportunities. These constraints have an important bearing on which of a range of feed options will work best. ILRI and CIAT have been working on feed option prioritization approaches at local level, notably through the development of the Feed Assessment Tool (FEAST). FEAST consists of a database of feed options which are prioritized for a local community based on a participatory assessment of local system constraints. The logic of the FEAST approach is scaleable and we now see opportunities to develop regional “feasibility surfaces” for different feed options by mapping system constraints using global/regional data sets. CIAT/ILRI seek to appoint two short-term (1-4 months) visiting scientists to work on the above tasks. The incumbents will work with the science team to develop feasibility surfaces.